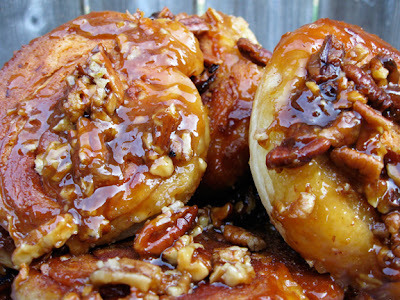 Orange-Pecan Sticky Buns! Just one of the amazing baked goods you'll soon find at Buttercloud Bakery & Cafe! Buttercloud Bakery & Cafe is an artisan bakery specializing in biscuits, scones, sticky buns, specialty desserts and other downright delicious baked goods. We also offer scratch made biscuit sandwiches piled high with everything from eggs and bacon to beef brisket and roasted zucchini. Other highlights include our housemade black pepper/bacon gravy and French toast made with our biscuits. Drop by and say "hi" — we'll feed you right!